Like many Asian countries Vietnam is famous for its tailors. People travel far and wide to get tailor-made suits, formal dresses and garments made of luxurious silk. Certainly it’s excellent value for money, this is the biggest draw card. However, if you’ve chosen your style well and have the help of a talented tailor, suddenly you see yourself from a different angle. You realise that you’re not the size the shops try to awkwardly box you into. You’re you and you look good. Your best features are enhanced and your inner potato is undetectable. 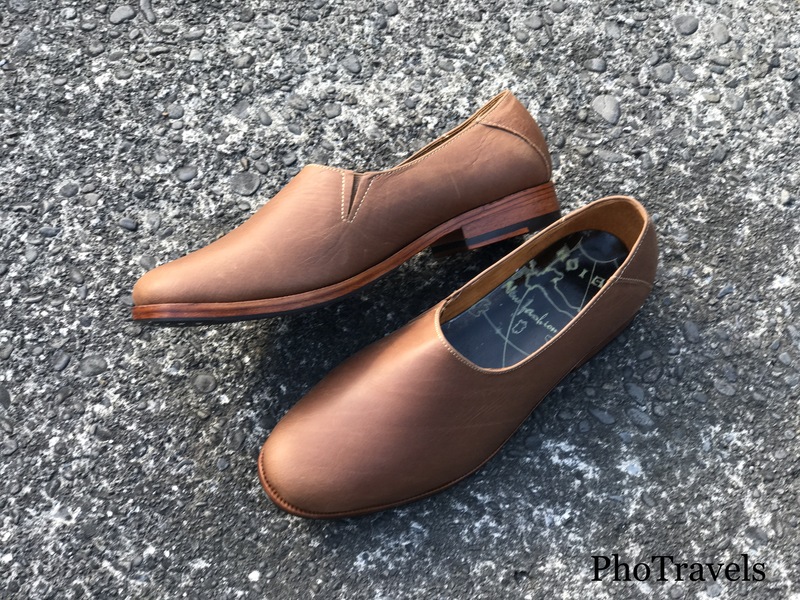 I’ve been fortunate to travel to Vietnam many times and have clothes tailored, however until recently I had never considered getting shoes made. A little research on the interwebs and I realised that Vietnam, particularly Hoi An is filled with shoe tailors. So, I pulled out Pinterest and started planning. Here’s a sample of what I got. 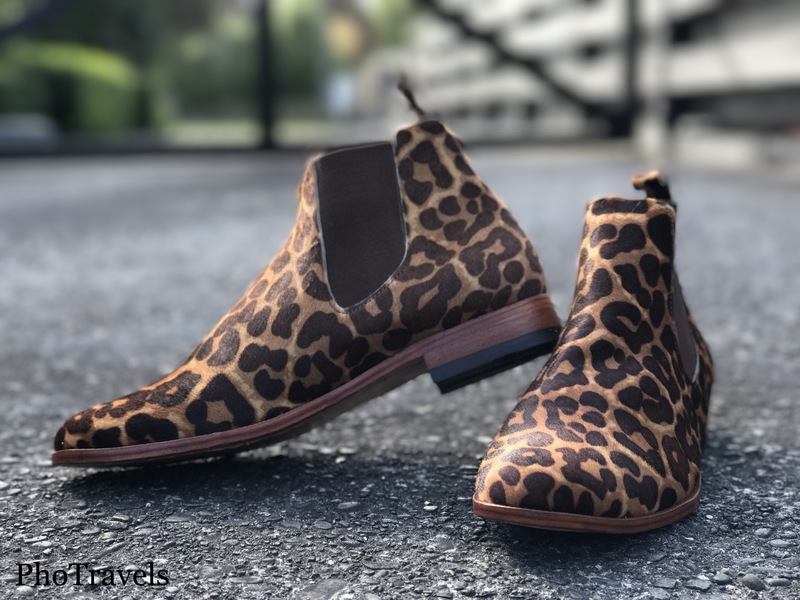 Sigh… shoes that fit, are lined with soft pig skin and in the nicest array of colours – navy, grey, black, tan, brown, and even animal print cow hide. Did they all turn out perfectly? Not quite, so I’ve compiled a few tips to help you if you’re thinking of adding some tailored shoes to your wardrobe. Even though getting leather shoes is very special, they can look cheapened by the plastic /rubber souls the tailor suggests. 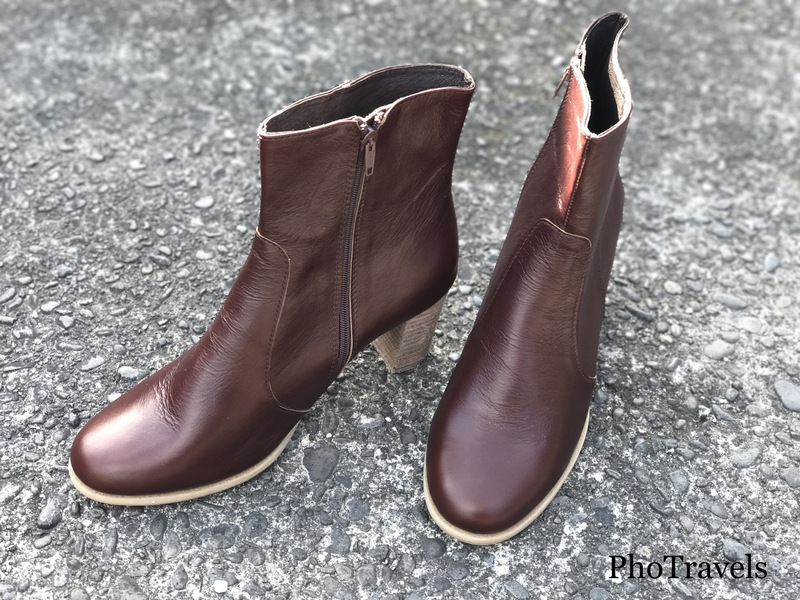 So, if possible get low heeled shoes or boots with wooden heels, or choose a contrasting coloured soul and get it top-stitched. Don’t be afraid of colour. Look around the shoe tailor shops and take note of the unusual colours they’ve selected for formal shoes like light olive green or cream. If you don’t have many shoes to start with though, perhaps stick with the classics like navy, black, rich brown and tan. If the shoes don’t fit..
Tell the tailor if your shoes are at all uncomfortable. They’ll remedy them on the spot, where possible. All of my shoes fit perfectly, but a friend’s dress shoes were a bit snug for his liking, so the tailor got out a lighter, heated the leather and used some shoe stretchers to gently adjust the fit. It was amazing to watch. My online research served me well. I used An Nam in Hoi An, paid full-price (they don’t negotiate) and had my shoes made overnight. They were lovely to work with. This entry was posted in Viet Nam and tagged custom-made shoes, shoes, tailor-made shoes, Vietnam. Bookmark the permalink.